每一家直銷公司都對自家會員說， 我們一定會優先拿到中國大陸的直銷執照…… 有很多人不了解 ~ 要拿到中國合法直銷牌照，是有多麼困難取得，幾仟家公司排隊，一家一家審核之外，才 85 家公司入圍 ，從排名第21名之後，就不保証能拿到中國直銷牌照? 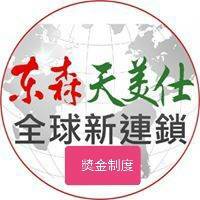 ~ 再拿2000萬人民幣保證金！存放 設定 不能拿出來，萬一公司不幸倒閉，對消費者才會有保障 ! 還好 OG 總裁獨到眼光 ~ 有先見之明 ~ 跟中國大陸官方福建省政府，在武夷山脈天然林區，投資2億4千萬美金，72億台幣，跟仙芝樓生技公司合資，培育天然有機養生靈芝農場 ! 中國政府，要把中國 4 千多年珍寶靈芝，發揚全球市場 ! 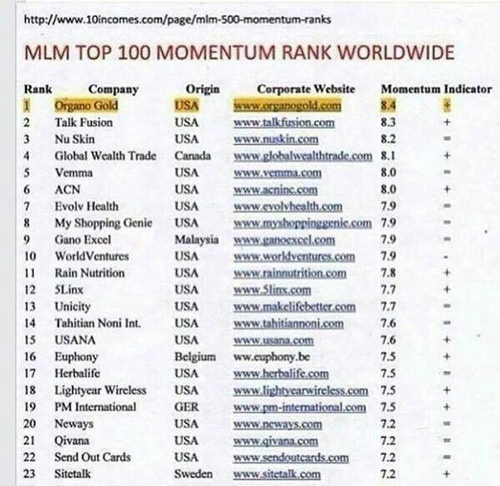 Momentum is the Magic of MLM. You need a lot of "Momentum" in your Direct Selling career. 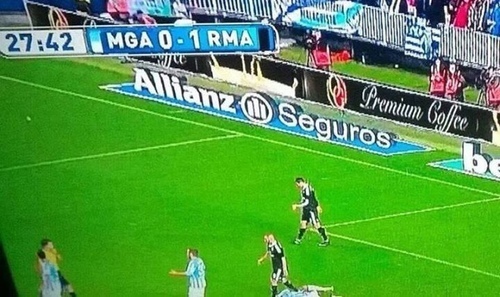 Momentum is hard to build, and easy to lose…. Which companies are having momentum and which have less ? We spend countless hours to rank over 130 companies. Note: "If a company has a certain position in our list, it does not mean certain distributors groups within that company has the same momentum. 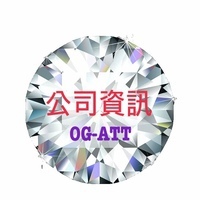 Distributor groups can have a lower or a higher momentum"
About the figures: a 10.0 is perfect, below 6.0 you need improvement fast…..
Business For Home is compiling the Best MLM Compensation Plan rankings in the world for 2014. 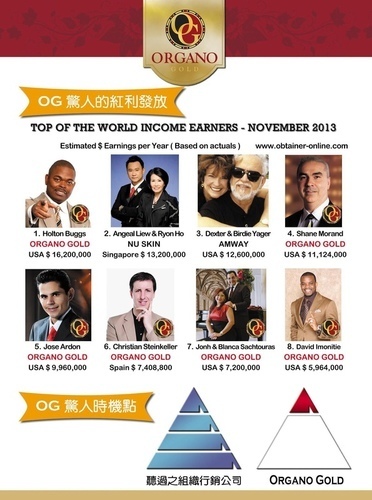 We have nominated over 500+ Top Direct Selling companies with their compensation plan. One of the most important, yet least understood aspects of a network marketing opportunity is the compensation plan. What is the most generous and best compensation plan? 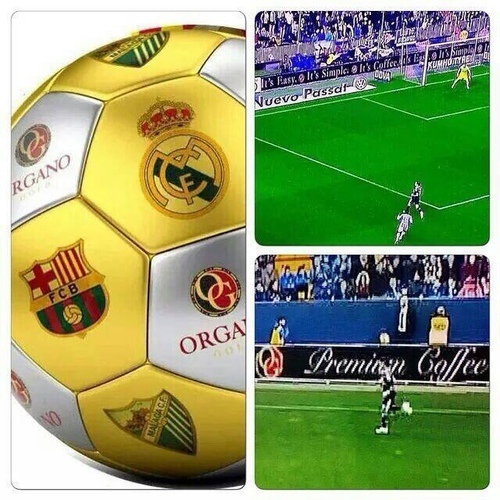 Where can you make residual income? Is it a Binary, a Uni-level, a Matrix, a Stair Step Break-a-way, a Pass-up Plan, a Hybrid? 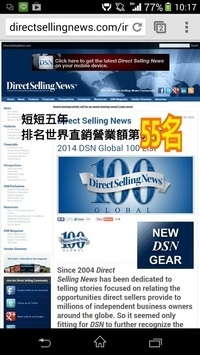 Just about any product or service can be purchased through Direct Selling somewhere in the world. Every single day, 70,000+ prospects worldwide are looking for information to find the best opportunity available. Many people think of cosmetics, wellness products and home décor as products that are often sold through direct sales, but add to that countless other product categories including kitchen products, high end jewelry, clothing, organic gardening supplies, Forex, spa products, scrapbooking supplies, rubber stamps and much, much more. 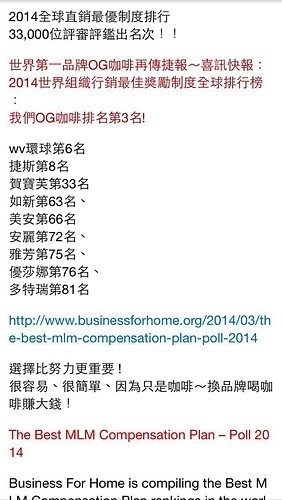 Which company has the best compensation plan in 2014? Where can you make money fast? We have nominated over 500+ companies. If we have missed your company please comment below. 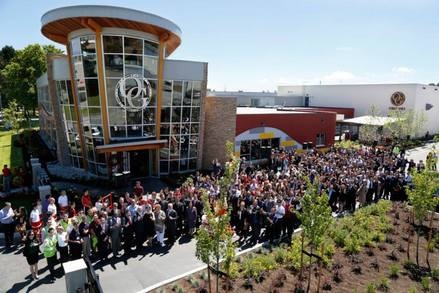 Organo Gold (OG) has inaugurated their new International Headquarters in Richmond, British Columbia, Canada with not one but two special blessing ceremonies. One special blessing was a traditional Chinese Feng Shui blessing and the other was a traditional Christian blessing ceremony. Of course, blessings of new homes and businesses is an ancient tradition in cultures and faiths around the world. 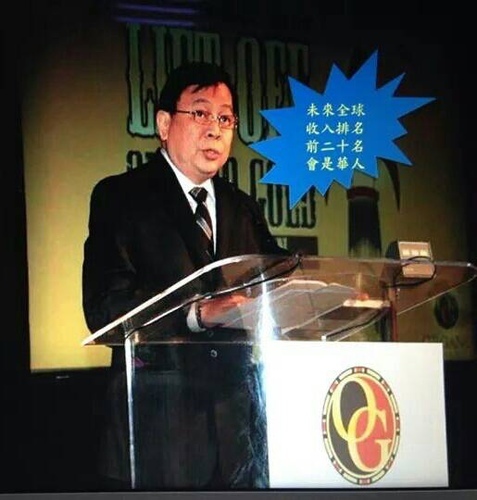 The ceremonies took place on June 30, 2014 as OG opened their new international headquarters facility. 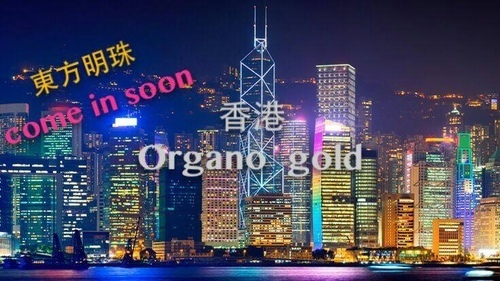 OG, the pioneer and leader in the ‘coffee’ niche of MLM, is excited about their continued growth in the Americas and elsewhere and looks forward to the impact this new ultramodern facility will have on their operations and the success of their global network of dealers all over the world. Feng Shui means ‘wind and water’ in Chinese and has been practiced in China for over 3000 years. In more recent times it has been adopted, adapted and practiced by many westerners too. The basic aim of Feng Shui is to clear the energy, known as “chi”, of any particular space, business or home thereby making it more harmonious for those who live or work there. Chinese believe that the world is connected by a network of energy and that the proper balance of the various types of energy are what gives a home or business space its atmosphere…. harmonious or non-harmonious. Their Feng Shui masters are considered to be those who understand how we can best interact with and manipulate that energy in order to be happier, healthier, more successful, etc. There are various types of Feng Shui ceremonies and one of its ‘blessing’ ceremonies was conducted by a genuine Feng Shui master before the company commenced official operations in their new headquarters. 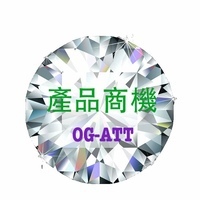 OG has been very successful already but it never hurts to get all the ‘essential elements’ of the world’s energy on your side. 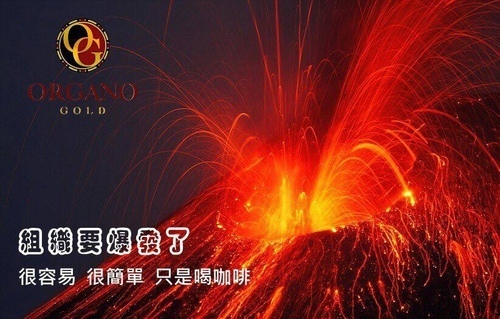 In the case of Feng Shui, those elements are considered to be water, wood, fire, earth and metal. 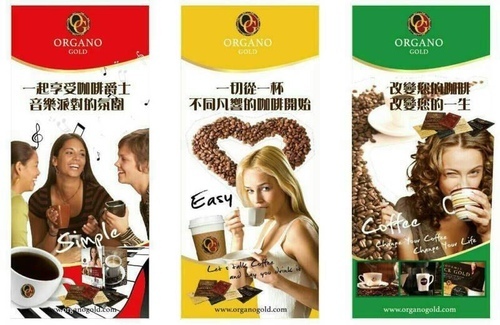 Certainly the core OG product, coffee, is deeply rooted in nature and traditional Chinese culture because one of the unique ingredients in it is the Ganoderma mushroom which has such high esteem in traditional Chinese holistic medicine. A Feng Shui blessing is believed to bring better relationships, health, and wealth. If Beijing, China could be used as an example, it’s worthwhile to note that Beijing’s Forbidden City is laid out by Feng Shui principles. Christian homes and businesses too are often blessed by priests and pastors and a Christian minister also gave a blessing of the new OG facility too. 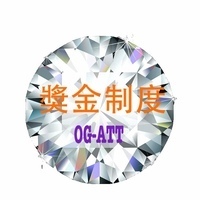 So… OG basically covered all their spiritual ‘bases’ here. 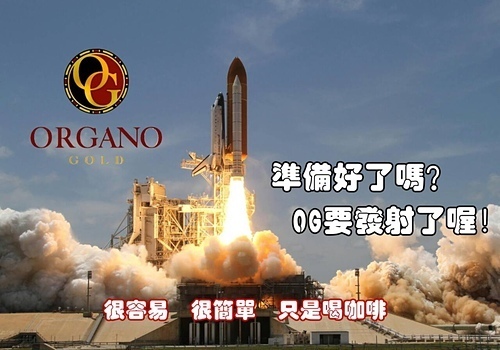 Several company dignitaries were present, including OG CEO and Founder Bernardo Chua and also three of OG’s most successful European field leaders, Zarko Drozdek, Markus Haselrieder and Georg Doeller. I asked people to drink coffee, to increase revenue with coffee! If you are like me, think through the coffee to change your life, let me share with you this cup of coffee now! 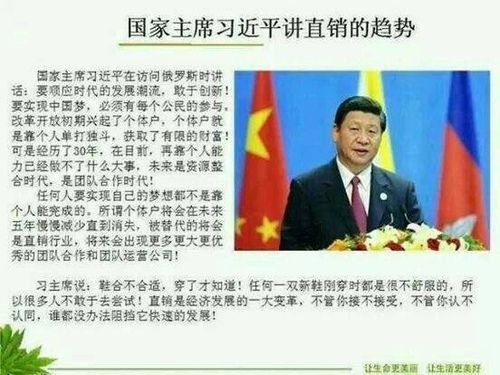 (⊙ ⊙) the world's most enviable job! "Drink coffee and see the movie." Because it is easy, very simple, just a cup of coffee! Drinking coffee watching the film of "three kinds of people." 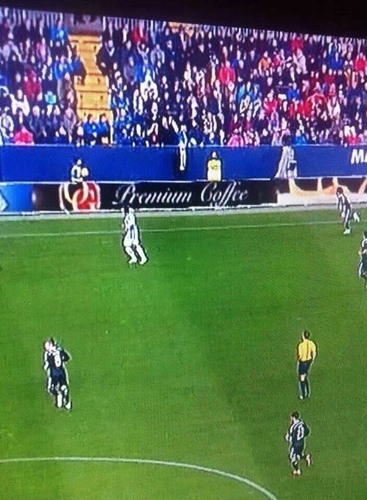 1 not interested in the work, you can buy a coffee drink. 2. 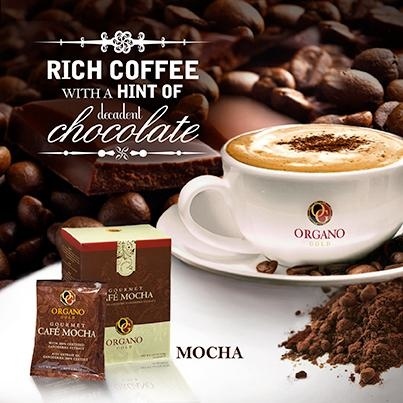 Want to know how to get free monthly coffee. 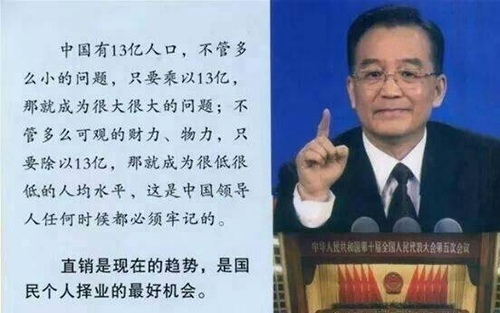 3 Please drink coffee can prosper, it must know. If you are two, three kinds of people!